Glass Surface Systems, Inc. is a company built on innovation. With several industry patents, and an outstanding customer service team thats both friendly and helpful, it's no surprise that Glass Surface systems has continued to lead the shatterproof lighting industry for the past 40 years. Our shatterproof lighting offers safety and reliability. We have the most comprehensive selection of bulb types and sizes in the world. We carry ALL major brands available. Your choices are never limited. GSS has been shatterproof coating bulbs since 1970. We hold multiple patents on shatterproof coatings, climate resistant coatings, and our unique Time-Glo bulbs. Our products all meet FDA, OSHA, NSF, CFIA, USDA requirements and hold the necessary certifications. We understand when you call for information you require quick, efficient, and knowledgeable customer service personnel who know the importance of quoting in a time frame that allows you to complete your job. Our customer service department will send you immediate confirmations of your orders as soon as they are received and tracking info emailed to you as soon as orders ship. Samples are available. 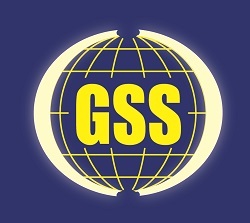 GSS stands by our unsurpassed professional customer service. © 2015 Glass Surface Systems Inc. 24 Brown St Barberton, OH 44203 All Rights Reserved.